I know, I know. How has it taken me SO long to talk about my favorite bags when it’s practically the name of my blog?! In fact, diaper bags are part of the reason why I have a blog in the first place. Why? I am all about inspiring other parents to explore their city, or others, with their children. No matter what their age! But in order for this to be a (nearly) seamless and (mostly) stress free experience, you HAVE to have the right survivors kit. For me that all starts with the diaper bag. For one, it needs to be pretty large. I mean, I need to fit 4 kids worth of necessities. Secondly, it has to be waterproof inside. I have experienced far too many spilled milk and leaky bottles. I mean, I lose bottle caps like crazy. Thirdly, it has to be fashionable. No matter what I am wearing. I use my diaper bag every day and my outfit could be sweatpants or Loubs. Either way, I don’t want the bag to clash. And lastly? 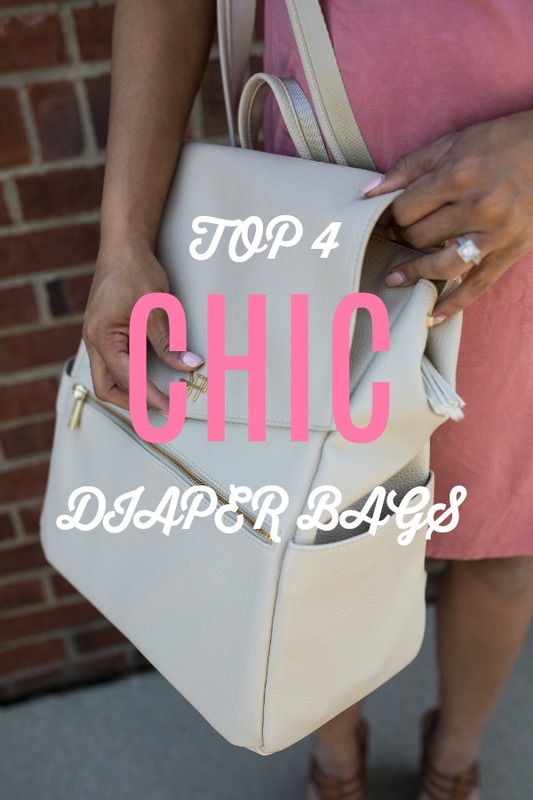 Just because you are a mom doesn’t mean you need to give up your Kate Spade for an ugly diaper bag. Guess what? You can have both! Premium leather, sophisticated style, resilience, etc. I promise you can have the best of both worlds with my top picks. And what’s even more? With some of these you can remove the insert and use them as regular bags and backpacks when your children outgrow them. The Fawn Design Original Bag is just.... rad. You can wear as a backpack or a messenger bag, and the inside can be pulled out for easy cleaning. The outside and inside are made of fully wipeable faux leather. There’s a total of 12 pockets: 6 outside, 6 inside including a zipper pocket. Plus a keychain hook on the inside for your keys! They also make chic, leather, fanny packs which I’m positive I need in my life. Every time I mention my favorite baby gifts or products I always mention this company. From their swaddles to their diaper bags, I love all of their products. This Manifest Weekender Diaper Bag was the first professional looking bag I ever found. Made with durable cotton canvas and vegan leather, this bag comes in two sizes. I have the large but there is also a petite size. The large size is perfect for long trips and lots of babies! They have many other designs as well and they are all gorgeous! And of course the inside is easy to wipe down and comes with a changing pad! My favorite moccasin company now has amazing diaper bags! Pack up everything you need for baby in 10 pockets and a big central space, magnetic front flap, grab-and- go handle, an electronics sleeve, and straps that let you wear it three ways: as a shoulder purse, backpack, or cross-body bag! This company has quite a few different styles but I was sold on the Rosie Grey & Silver. This bag can also be worn three ways but I love it’s structured bottom so it can stand on its own! Plus my favorite color is lining the inside! The inside is so easy to wipe down and it includes a 12 pocket organizational insert with handles that I can easily pull out. Swap the baby stuff and just use as a gorgeous purse! In need of a bobby pin? Hand sanitizer? Tweezers? Hair band? All of that and more in the In A Pikle organizer! Check out our review! Need some quick and easy St. Patrick's Day snack ideas? I've got you covered! Make these snacks in less than 10-15 min! Time for our January giveaway! Do you know anyone with a new baby or soon to have one? Read all about my top picks for baby shower gifts and enter to win! On the hunt for the perfect gift for the special man in your life? JORD Wood Watches has you covered! DID YOU KNOW THAT THE FDA HAS NOT PASSED A MAJOR LAW REGULATING THE BEAUTY INDUSTRY SINCE 1938? Yes, it's that time again, which means that the veil between the living and the dead will thin and witches, vampires, mummies, and other ghoulish figures will come out of the woodworks. So, if you're trying to keep with the tradition and blend in so the monsters won't know you're not one of them, then make sure they see you and your family eating some of these delicious Halloween treats. They're spooktacular! You'll need two 14 ounce cans of diced fire roasted tomatoes, 3 cups of chicken stock, 1/2 teaspoon of Italian seasoning, salt and pepper, to taste and cook it in a medium sauce pan over medium heat. Then place the soup in a blender until it's pureed and pour it back into the pan. Feel free to add more salt and pepper if you want and serve in a bowl. Now for the final touch, use a melon baller or sharp paring knife to carve out a hole for an olive on the cherry sized fresh mozzarella balls. Then press the green olives with pimentos in and put it in the bowl. Two or three eyeballs per bowl should do it. This recipe will have everyone boo-ing, but for a good reason. Just make a cup of hot cocoa, serve it in a mug, and top it with a swirl of whipped cream! Make ghost eyes with mini-dark chocolate chips. I just went to the grocery store and purchased some peanut butter "break and bake" cookies. Once they were cooled from the oven, I simply added the mini peanut butter cup (upside down), and decorated spider legs and eyes with tube icing! Super easy and the kids will love helping. First off, you'll need 1 15-oz. can pumpkin purée, 1/4 tsp. salt, 1 1/2 tsp. cinnamon, 1/2 tsp. nutmeg, 1/2 tsp. ginger, 1 14-oz. can of sweetened condensed milk, 2 large eggs, 1 double pie crust, and 1/2 c. thick caramel sauce. Whisk the pumpkin puree, salt, spices and condensed milk in a saucepan on medium heat. Then let it cool before whisking the eggs in. Then place your store-bought pie crust into an 8' pie plate and pour the pumpkin filling. You can spoon the caramel sauce on top until it looks marbled. Then cover the pie with the crust and use a toothpick and a knife to sketch and carve out Jack Skellington's face and bake for 15 minutes at 450 degrees F. Then reduce the temp to 350, cover the top with aluminum foil and bake for another 40 minutes. Then let it cool and serve. Melt white chocolate chips with a smidge of vegetable oil, or just buy Wilton melting chips from the store or the link below! Simply dip your strawberries in the melted chocolate and add mini chocolate chips for the face and mouth. The messier you get, the more ghoulish they appear! Wilton Candy Melts, White, 12 oz. Blend 1 1/2 of frozen bananas, 1/2 cup non-dairy milk, 1/2 cup vanilla non-dairy yogurt, 1 tsp matcha green tea powder (which will add an extra caffeine punch), 3/4 cup of watermelon, or peaches. You can also add 1/4 avocado, 1 tsp Chia seeds, a handful of spinach, and ice. Also try drizzling some agave syrup to make it taste sweeter. Once it's creamy smooth, you simply pour it into a cup and savor this smooth and creamy treat. Sure, you can make your own Rice Krispies … BUT you can also just buy a bulk box from the grocery store, use food coloring to dye melted white chocolate, and add Wilton‘s googly eyes for the perfect monster effect. Perfect for a Halloween themed snack day at your child’s preschool or kindergarten. When the cooler weather starts to slowly creep in and the leaves start to change colors, it is time to start fall themed crafting with your children. I love fall because you are able to utilize hiking to teach your child about nature and subsequently come home and create a craft based on what you discussed. Head out to the apple orchard and pick some apples with the family. I take my own baskets and some water for washing an apple for each child to snack on, since they can not wait until home to take a bite. Once we are home we make Apple Pie Play Dough by Emma Owl to continue the fun. This recipe is soft and silky with the combination smell of allspice and cinnamon. This Hanging Bat Craft is a great activity after a hike in the woods and the idea is to collect a bag of small twigs. The twigs provide a way to hang your bats and display them easily. This craft is also good as a Halloween display. The craft is by Buggy and Buddy and it can be displayed with colorful Fall leaves. Either go for a hike or collect colorful leaves of different shapes in the back yard. Whichever way you gather the leaves, go through the bag to lay out the different leaves and see if you can identify the type of tree the leaves came off of by shape! It is a true learning experience. Purchase google eyes, small buttons and glue and decorate each leaf with a face and buttons down the front. The items easily adhere with glue. Make your family out of leaves and display for everyone to see. This is a craft I do with my children every fall. Another good use of the fall leaves is a wreath made out of a paper plate and decorated with colorful leaves. These Paper Plate Fall Wreaths may be displayed on your front door or a bedroom door. This craft is by The Mad House and is easy for little ones to make by simply gluing the leaves on to the paper plate. Are you wishing you had a way to utilize wine corks? This simple project of Autumn Cork Painting by the Picky Apple is easy to set up outside on an easel with paints and corks. Your child can look at the trees and decide how they want to decorate their tree with leaves made from cork printing. It is easy to clean up and a way to enjoy the outdoor weather. It is a great rainy day activity also. Another great item to collect in the fall are pine cones. They are usually easy to find and can be used for several different crafts. In this craft by Non Toy Gifts the Pine Cone Apple Craft turns the pine cone into an apple. It is fun to see the transformation take place and the painting provides a good hand eye coordination project. This is a good small gift for the teacher if your child is going back to school. Making a display of hanging leaves can be a great way to decorate the entrance to a room. It can be made by lacing together real leaves or leaves from your local craft shop. I buy large plastic needles from the local craft store and heavy clear thread so it is safe for my children to utilize. This craft is something I have created myself as a Fall craft by looking at displays in craft shops. An example is Fall Leaf Garland Display by KHallberg Design.This makes a beautiful backdrop for Fall pictures. Making a craft with a footprint or handprint is always a great keepsake for every family. This turkey is a simple footprint from paint and then add colorful construction paper feathers. Add eyes and feet and you have the perfect Footprint Turkey. This craft is by craftspilot and also utilizes some glue. Utilize those apples from the orchard for crafting projects. These Easy Apple Prints For Toddlers are easily held and manipulated by the younger crowd in your household. Cutting an apple in half and then carving a built in handle makes it so much easier and not as messy. This craft is by Teaching Two and Three Year Olds and is a fun craft idea. My children enjoy projects that utilize food in different manners. A suggestion to use the remainder of your large craft sticks is this cute Hot Chocolate Mug craft with light blue paint and cotton as marshmallows. This is a craft by Glued to my Craft and will put a smile on all your childrens faces. While making this craft serve up some of your own hot chocolate with mini marshmallows. I like to add little mini chocolate sprinkles to the cotton marshmallows for fun. Making some kind of pumpkin craft after we visit our favorite pumpkin patch is a family favorite. This is a great craft for making a lasting decoration to use year after year. It may be used as a centerpiece for the table by making different size pumpkins. This craft involves wrapping yarn with glue around an inflated balloon, allowing it to dry then pop the balloon. And a pipe cleaner tops it off for the stem. This has always been a favorite for my children to make as the cooler weather starts to move in. The birds need to eat and having a homemade bird feeder hanging by a window or in the back yard provides everyone with some entertainment. Peanut butter on the pine cone with bird seed added is easy, fast, and fun to do over and over again. Add a ribbon or yarn and hang it outside. This craft is by Freebie Finding Mom and is basically very inexpensive to do when the family gathers their own pine cones. This project can be spooky for Halloween or pretty when done in pastels and it is all up to your own family. Spider Web Art has salt added at the end to make it appear to have more of a texture or 3D style. For younger children a spider web can be printed out and older children may create their own web design. The use of watercolor paints makes this craft a success. This craft is by Lasso the Moon. I love this craft because it can be finished as a craft with glue or it can be put together as a pretend pie over and over again. This craft is made of beige felt and red pom poms and is a great idea for hours of fun. I also use it to teach some basic cooking skills. This craft is by the Best Ideas for Kids and is so much fun to create. My children like to make scary funny projects for Halloween and this craft fits that description. This craft uses coffee filters, marker and water to make the blended colors. Then an added face made with construction paper make it an easy craft. We like to put a hole in the top and put ribbon in the hole with a knot and hang them around the house for a Halloween delight. This craft was created by Raising little Superheros and is a fun way to teach tie dye for future summer tee shirt designs. This bat is another fun filled activity for Halloween and could be hung on a front porch for swinging bats.This craft involves some folding techniques for the wings and then decorating the body and face of the bat.The pieces can be precut to make the project easier for small children. This is an inexpensive craft and your child may want to make a few different bats. This craft was created by I Heart Crafty Things. These may be made with colorful feathers and google eyes and are so cute and funny. Again utilize those pine cones your family gathered on their hike through the woods. I found the other items at the dollar store to decorate the pine cones. My children also named their owl creations and put on a show. Using your imagination as you create the owls is a key element. This Owl craft is by Meaningful Momma. This project is great to use on canvas bags to make homemade trick or treat bags. Glow in the dark paint might be a good idea so your child is easy to see on that fun night. This craft provides many designs made with the use of your childs’ hand or foot. Allow them to come up with their own designs. This craft was created by Millions ideas Club. Starting Our School Day With Pepperidge Farm! It's back to school time and it's also back to "what can I scramble together for kids lunch and breakfast time?!" So much fun baking with children, here is a round up of some great fall recipes you can incorporate the kids into! Looking for another way to use your spiralizer or add more veggies into your baking? Check out this yummy chocolate zucchini cookie recipe! Groceries delivered to my house in 1 hour? Umm.. yes please! Amazing non-candy Easter giveaway! Ends Sunday, April 9th at midnight! Peanut Butter & Babies Really DO Mix! Studies have shown that introducing children to peanuts and other allergens early, actually reduce the risk of allergies. And when I say early, I mean as early as 4-6 months. I know this flies in the face of what many pediatricians have been telling parents for quite a few years but peanut allergies in particular have spiked since recommendations to delay introduction emerged. Blogging is such a popular platform these days. People start blogs to promote their businesses, charities, personal stories, offer advice, promote a lifestyle brand, etc. On the surface it seems like such an easy venture. I mean, how is blogging different than the Xanga and LiveJournal I had back in high school? Turns out, it can be a lot more than you bargained for. When I began A Mommy Nearest, I believed that I would just knock out one blog per week while I was up all night breastfeeding. Somehow, magically, people all over would appreciate my sage, motherly wisdom and provide a consistent reader base. Boy was I wrong. So here are my five BIGGEST mistakes that will hopefully help any of you new bloggers out there get started on the right track! You really need to think long and hard about your preferred blog aesthetic. I went from over the top feminine to a more editorial and sleek look. The original design and logo were not representative of me or my blog posts and left the whole feel very disjointed. That will do nothing to attract readers. Launching a blog too quickly often leads to mistakes like these. Its okay to learn through trial and error but it doesn't hurt to make decisions and then sit with them for a few days before releasing to the World Wide Web. It goes without saying that you will also need a platform you are comfortable with. I use Squarespace and love all the template options. Obviously Wordpress and Blogger are popular options as well. P.S. When thinking of your website title, make sure the domain name is available first! You can purchase your domain name through your hosting platform if you choose to go that route. 2. No iPhone photos please! High quality photography and content are a MUST for a successful blog. Don't get me wrong, phones can take amazing pictures these days. If they are really clear and aesthetically pleasing, then go for it. However, investing in a DSLR or mirrorless camera could be of huge benefit to your blog. Especially for food blogs, promoting some type of product, and fashion. High quality photography will also capture attention on your affiliated social media accounts. If you are so excited about the topic that you are inspired to write about it, make sure the pictures do it justice. The literary content also needs to be top notch. Churning out regular, high quality content is still something I am having trouble keeping up with. Sporadic posts make it hard to maintain subscribers and an interactive fan base. Interact with other bloggers! Comment on blogs that you follow, interact on their social media, have guests post on your blog and be a guest writer on theirs. Find some blogger link ups and blogging communities you can get involved in. Link parties are a great way to gain blog traffic and for the blogger community to support each other's posts. If you want to start your own, you can use a service like InLinkz to get started! Send emails out to all the bloggers you know (or don't know) asking them to contribute, promote the link party (pick a theme like interior design for example), and you're all set! Some blogging communities that I've been using to get my posts out are BlogEngage, StumbleUpon , and Medium. You are essentially sharing your posts with a commmunity that actually cares about your content, you can interact with each other, and hopefully get some shares and drive more traffic to your site. I was terribly disorganized when I first started out. Heck, I still am. I have only recently discovered the more efficient ways of promoting my blog. Apps like Hootsuite help me schedule my social media posts so I can post the recommended 2-3 times/day at the most ideal times (afternoon and evening) and still have a life. It's best to set aside a section of time in your week and dedicate that time to preloading all the blog posts and images you want to put out for the next few days. Then you won't even have to think about it again until the next week. 5. Don't get caught up in the hype! Yes, all the above items are important to a successful blog. But there is no point in running yourself ragged, stressing over followers and likes, for something that a lot of you may have just started as a hobby. Yes, many people make money off their blogging through affiliate marketing, but it can be nominal and you beginners certainly won't be raking in the dough anytime soon. Write what you enjoy, do your best to make your site appealing to whatever niche you are aiming for, and get to know other bloggers in the community so that you can promote each other's work. That's what most important. Any product endorsements or monetary benefits that may follow are just icing on the cake! If anyone is currently suffering through the mayhem that is potty training, this is the blog post for you. 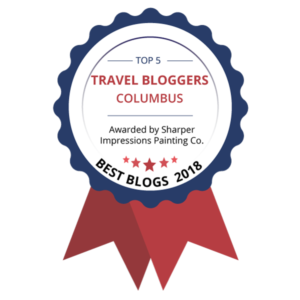 I wrote it for Columbus Moms Blog and I hope you enjoy it. Keep in mind that this is pure, comedic venting. To be honest, most of these tips work for most people but many of you know that what works for one, doesn't always work for the other. And some days, you just want to rip your hair out! But of course, that's parenthood for ya! Awesome small shop giveaway going on over on my Instagram @amommynearest Super easy to enter and very good odds of winning! My Kids Are Loving This New Epic Snack!